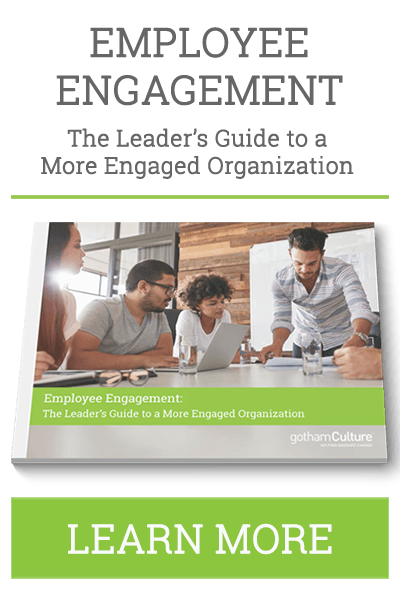 87% of today’s leaders around the world cite culture and employee engagement as one of their top organizational challenges. This is according to a recent report from Deloitte, who interviewed over 3,300 executives and HR leaders in 106 countries. The data in this and other large-scale studies weave together an alarming trend around today’s changing corporate landscape: Changing demands of the emerging workforce and looming leadership development challenges are growing risks for business today. Organizations must find ways to change and adapt to the changing needs of their stakeholders in order to maintain high performance. Organizational culture change at any scale can be challenging. And in order to overcome challenges like these, we often have to start diving into the depths the organization and figure out what is truly driving the culture. But, what does that mean to you as a leader? As Deloitte’s study highlights; many business leaders know the importance of organizational culture, but most still don’t grasp what really defines their culture to begin with, or how it connects to performance. You can’t change what you don’t understand. If you’re unable to understand what drives your organization’s culture, how can you possibly begin to change it? 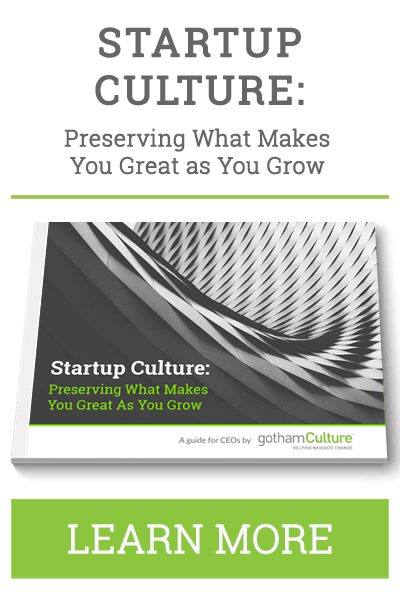 Most people think of culture as the visible values and behaviors within an organization; shaped by employee perks and benefits, the office policies and environment, and the corporate brand and values. These are all part of your culture, but like an iceberg, the majority of what drives the behaviors within your organization is unseen and largely inaccessible, far below the surface of what anyone in your company consciously thinks about. “The way things get done around here” is our favorite catchall definition of organizational culture. We see it in the stories employees tell about the organization, the conversations they have with each other, and the way they go about their daily work. But, these visible indicators are only part of the story. 1. Constantly Ask “Why”. Why do we do it this way? Why haven’t we considered doing it this way instead? If you get a lot of responses like, “That’s just the way we’ve always done it,” you may be able to get people to realize that the way you’ve always done things is not yielding the same positive results. By engaging people in face-to-face dialogue about it, you’ll have the opportunity to dig deeper into the underlying beliefs and assumptions that exist in your organization. 2. Dive Deep. Ask yourself what aspects of your personal value system have led to your company’s success and how an over reliance on those things may be serving to cut you off at the knees. As a leader, are these personal values still aligned with the values of your organization? Are they holding your organization back? 3. Consult an Outsider. Find an outsider who is willing to experience your organization for a while. Since they aren’t part of your culture, they will see things you don’t and be able to question why you do things the way you do them. In our decade of experience, we’ve found that successful and sustainable organizational culture change starts with a rigorous assessment. You may not see more than the tip of the iceberg at first glance, but by having conversations with your people, asking the right questions, and digging deep into the true motivation behind the way you’re doing things today, you’ll be able to better understand what needs to change.